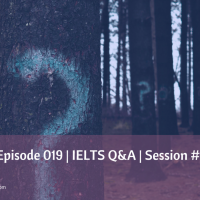 In this episode Andrea answers questions from 4 listeners of the IELTS Test Prepcast; Mohammed and Rajiv from India and Lucky and Fatimah from the Philippines. Please leave your question at support@passieltshigher.zendesk.com. We can’t promise to answer all of them but will answer common questions and interesting questions in future Q&A episodes. Great to hear from you Garas. Thank you for following us on our site. Good Luck in your exam and please put all the knowledge from the site into practice. When you get your desired band score, don’t forget to tell us. Thank you ever so much for this one and all your podcasts. 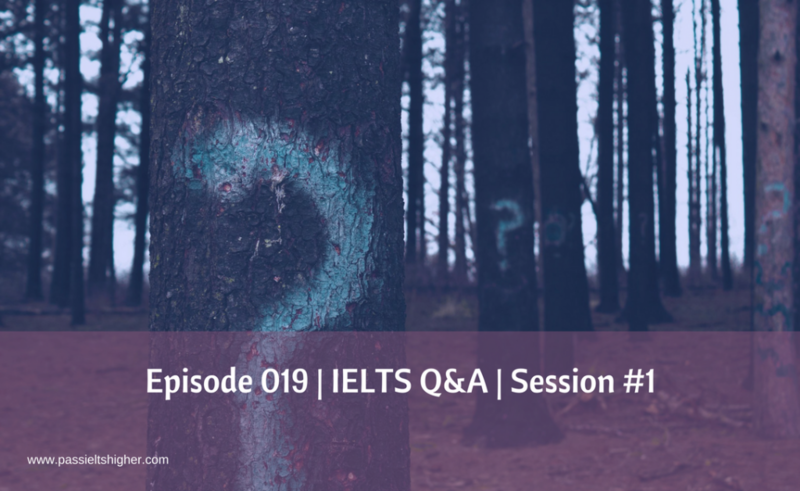 This week I’m sitting for the IELTS exam and I’m sure all your kind advise will be most helpful. I truly hope to get the band score I’m after. Best wishes and please keep up helping IELTS exam takers to achieve high band scores. Thank you for following us on our website Jose. I wish you the best of luck in your IELTS exam and please let us know how you do. First of all I’d like to thank you for the great podcasts you’ve been doing, I’ve listened them all more than once. They’ve been so helpful to me so far on my studies and I’m pretty sure your advice will help me out on getting a higher band on my Ielts test that will take place on last week of June. If you don’t mind, I’d like to ask you a question related to the listening test, which I believe I’ve been losing valuable marks by filling the gaps with the incorrect answers. Let me explain: when I’m doing online Ielts mock tests, the instructing says “no more than three words”, however when I fill in with 2 words, usually one is correct), and the other is not (usually is pronoun or an adjective). My question is, even if the instruction says that I should not write down more than three words, and if I write down only one, will my answer be correct? Thank you for following us on our site. However, if the instruction says maximum 3 words, it is all right to only write one word, as long as that word has the necessary information to complete your answer. You can also usually omit the articles or the adjectives. Again just read the section carefully and make sure your answer is both grammatically correct and you’ve chosen the words that answer the question. I got 6 bands in ielts test twice. Hoping to hear from you soon !! There are lots of tips to help you in the blogs published on the site.